We first met Thulebasen at the Festival of Endless Gratitude and were blown away. Their heavy experimental and psychedelic sound has given them a serious rep in the underground music circuit and among those who have been lucky to the see them live. But what also really impressed us is the video art. Awesome videos put out by the label Tambourhinoceros. Raga Gemini and the 18 min Felaia are real odes to joy. Check out also Monster and Forever Grinning on YouTube. Another Sotu went by. This year´s Sotu was fantastic. Lots of stuff happening between OT301, OCCII, Vondelbunker and other places like the comic book shop "Lambiek", said to be the oldest comic book shop in the world, where we saw a live sketch battle. Awesome. At the Vondelbunker an unusual black metal program was very interesting with the Black Decades and Mannheim. Impressive also was the 24 hour feedback/noise event "Giant Noise Feedback Show" at the OT301 where a giant sound installation unfolded in all public spaces at the OT301: the main hall and its bar space, the 4Bid Gallery, De Peper, the cinema and the cinema bar. In all spaces, simultaneously, noise acts performed. Their signals were fed to the Radio Patapoe studio in the basement, where a mixdown went live! Then the radio signal was again pickup by the acts, who used the radio signal to feed it back into their stuff!!! 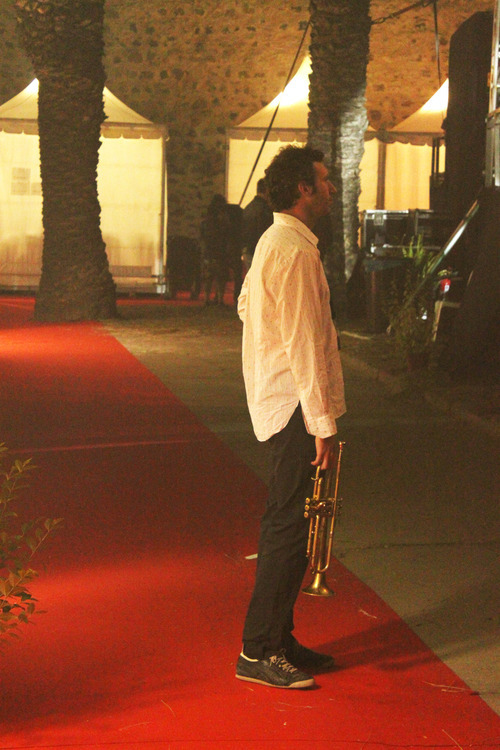 There was even a small set up with a mixer were the audience and visitors could add their 10 cent to the performance. Needless to say Noise Problems loved the concept! Well done Sotu & OT301 & Patapoe! Celebrating 50 releases on Noise Problems we decided to throw a party. For the 50th release we decided to record that party. 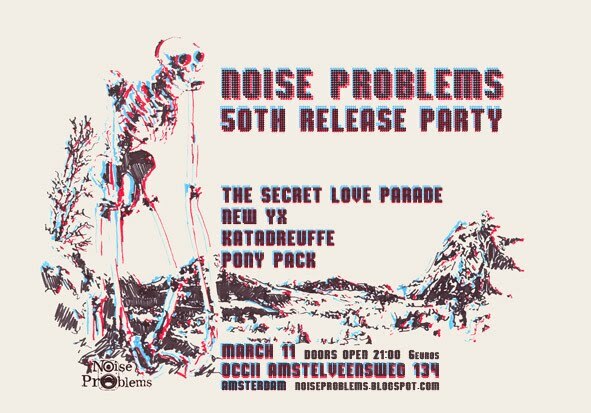 The Secret Love Parade returns to Noise Problems a year after the OCCII recording from the Pageturner nr1 night, as well as NewYX formerly known as Storm from the Recipe Book night at the Winston release and introducing to Noise Probs two amazing bands Katadreuffe and Pony Pack. We are thrilled to have them complete the evening and make a fine extent to our live recordings collection. March 11, 2011 was the date set for the event held at the OCCII in Amsterdam to celabrate the 50 releases at Noise Problems. All started quite natural recording a few nights here and there and before we knew it we had reached 50 bands on Noise Probs. We had to do something about and decided to throw a party where we could choose the bands to record and called up some of the local Amsterdam bands we knew from the scene. The Secret Love Parade were the perfect act of solid electronic beats and postmodern pop melodies to kick things off and set a mood for the evening. New YX where also known to us. Their sound is dary, a fusion of danceable electro and post-rock tunes great to make the transition to the loud part of the night. Soon after Noise Problems debutants Pony Pack made the crowd move and the heat to rise with fiery guitar riffs. Katadreuffe sealed it by combining most of the above elements into their noisy, post-punkish (massive) sound wave which enveloped everyone in the place into a tight hug. Also for the occasion of the 50th release a compilation was issued to commemorate. Its 23 tracks are available in 6 volumes for download here at the FMA. 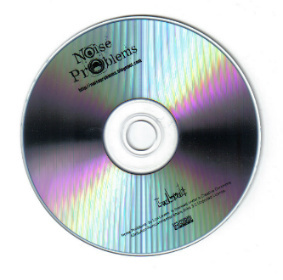 Great tracks selected from amongst the first 50 Noise Problems releases. Check out the Selections too. All shows were recorded live between 2007 and 2010 at various Amsterdam venues. From Berlin´s underground Camera is heavily influenced by 70s Krautrock bands like Neu and Can and have been playing spontaneous guerilla-like shows in U-Bahn stations all over the city. They were at Festsaal Kreuzberg opening up for the mighty Trans Am aswell as several festival appearances including performances with Neu´s very own Michael Rother. Having just debuted an album you should (if in Berlin) try and catch them live by going to one of their shows. The music is psychedelic, hypnotic and intense. Fortunately they also travel outside the underground tunnels of Berlin and showed up last December in Amsterdam for the Solaris Fest at Plantage Dok. Noise Problems was there and caught it all on´tape. Check out the whole voyage here at the FMA. Camera rules.